Buy Stocking Donner — Get 2oz. Support Plus® Hosiery Wash Free! A Hard Job Just Got Easier! 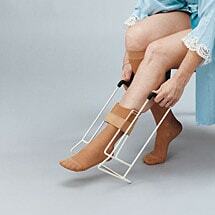 Eliminate bending and struggling when putting on heavy-duty compression stockings and pantyhose. 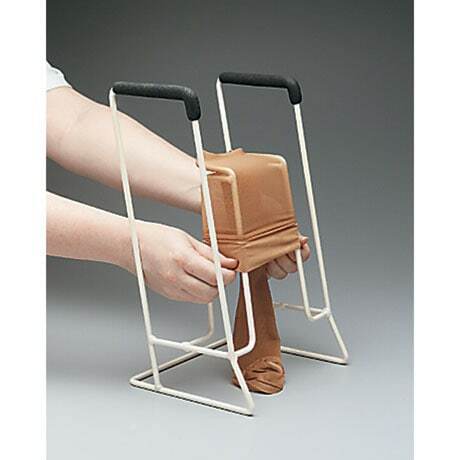 Simply stretch the sock, stocking or pantyhose over the column and insert your toes. 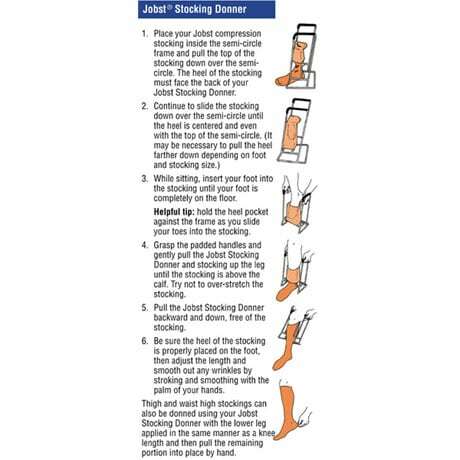 Pull on handles with a continued stepping motion to place the sock on or up to the knees for final positioning. 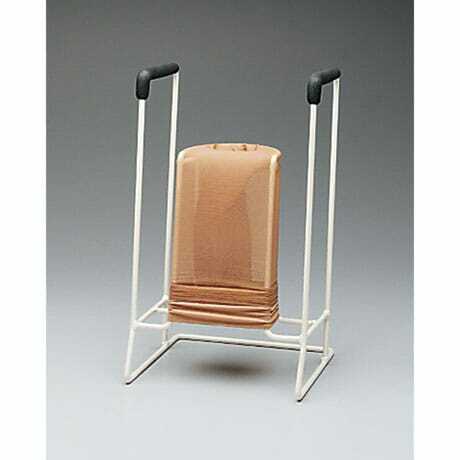 This sturdy helper is made of steel with a smooth plastic coating. Strong enough for surgical stockings and pantyhose. Included is a 2 oz. 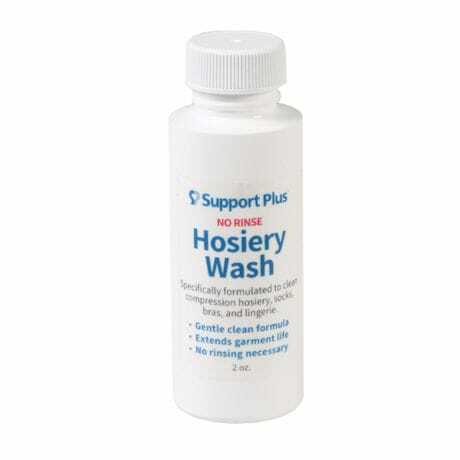 bottle of our Support Plus® Hosiery Wash. Who better to make a hosiery wash than those who know it best? Support Plus®! Our hosiery wash is formulated to effectively clean and refresh your hosiery. Just hand wash for 15-30 seconds then hang or lay to dry - no rinsing required. Support Plus® No Rinse Hosiery Wash is gentle on your delicate hosiery and, because there's less agitation and zero rinsing, your expensive hosiery can last much longer. Support Plus® No Rinse Hosiery Wash is also great for other delicates.